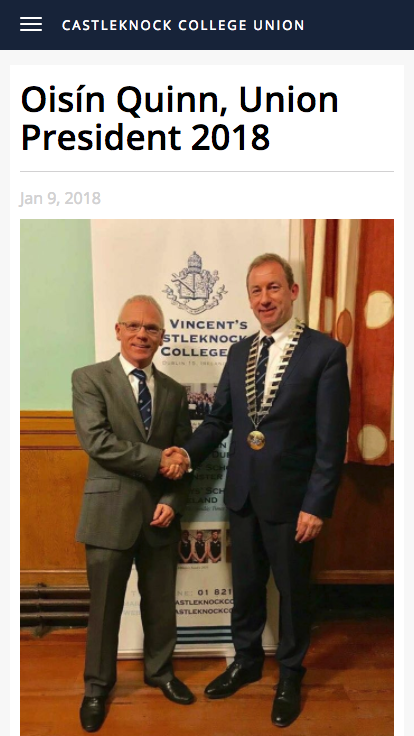 Development of a past pupil system for Castleknock College Union. 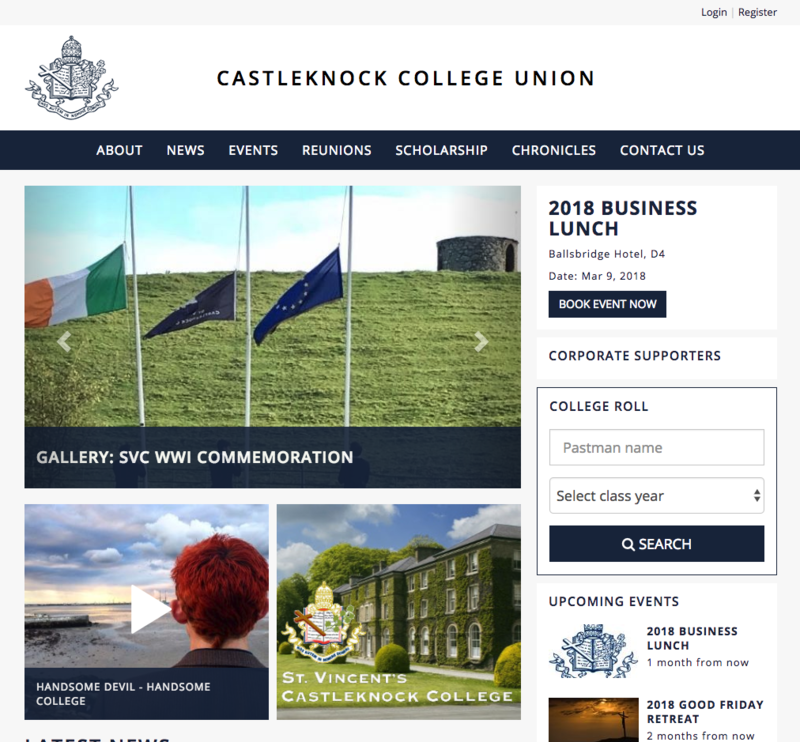 The Castleknock College Union (referred to as ‘the Union’) is an association of pastmen, their parents, staff members of St. Vincent’s Castleknock College and the Vincentian Community associated thereto. 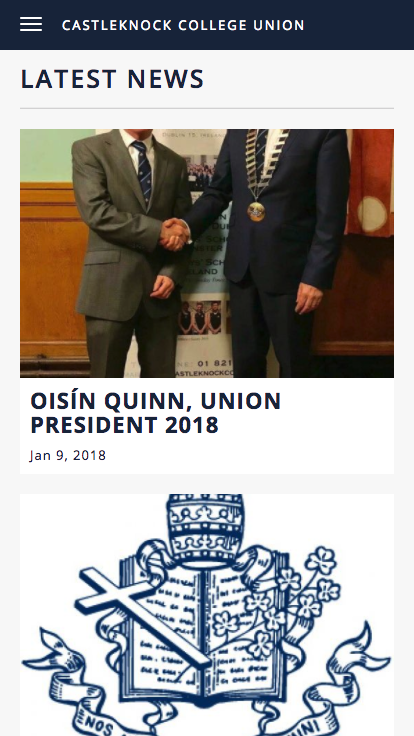 It has the distinction of being the oldest College Union in Ireland. 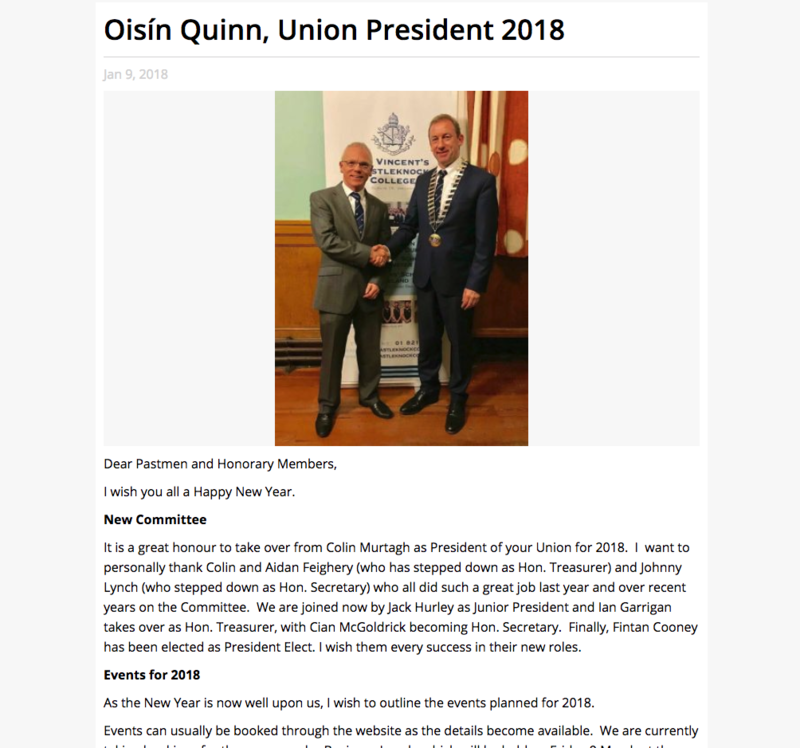 The stated aim on formation in 1896 was to bring together the alumni, to keep them in touch with one another, so that old time memories and associations might be kept alive to play a part in working out the destiny of each. 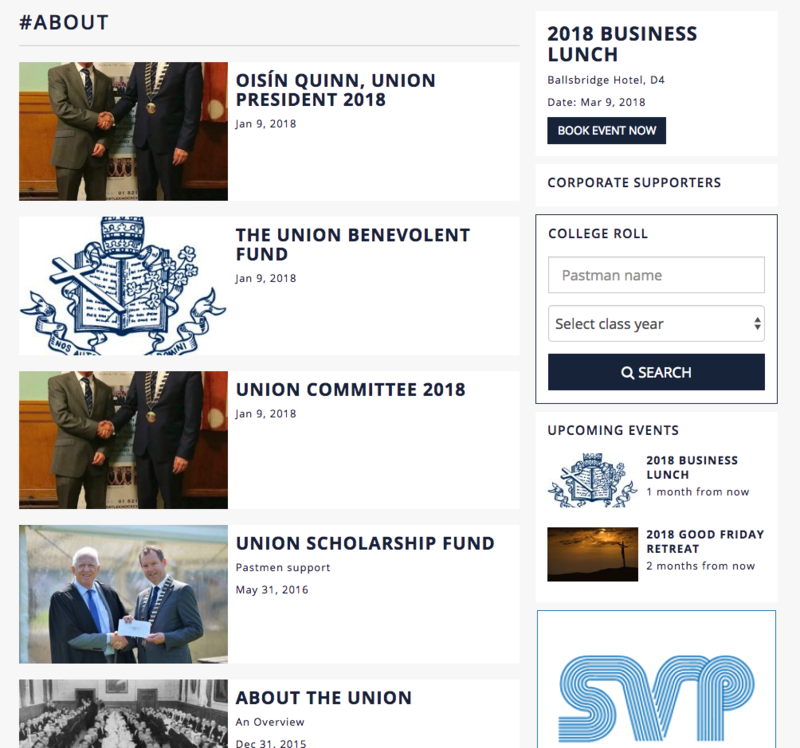 Square1 were commissioned by the Castleknock College Union to design and develop a dedicated platform to be able to both publish news about their members as well as providing a powerful backend system to manage all historic information about their members. Union subscriptions and online payments are now fully integrated into the new system. All online card payments are securely processed via Stripe.